The smooth hard surfaces of the Stainless Steel, Copper and Bronze Vaults allow them to be personalized with a beautiful lithograph scene. You can view a few by clicking here. 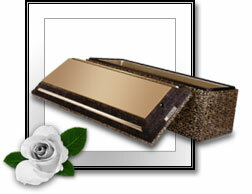 Add a complimentary Lithograph design to any Wilbert Vault or Urn Vault. Designs include hobbies, lifestyles or favorite memories.